A trip to the ophthalmologist may bring news that you are in need of glasses. Most American adults need corrective lenses to bring their vision to 20/20 according to American Academy of Ophthalmology. While this may bring some changes to your life, new technology allows you to wear glasses while still maintaining style and comfort. In fact, you will discover that after a while you will hardly know you are wearing glasses. However, not all glasses are exactly the same in quality and purpose. While some glasses may be perfect for curling up with a good book, they may not be as great for driving. And we all know how important it is to be able to see well while driving. For those who wear prescription glasses having the protection for your eyes is just as important as maintaining comfort and style. That is why we’ve developed this list of best prescription sunglasses for driving. 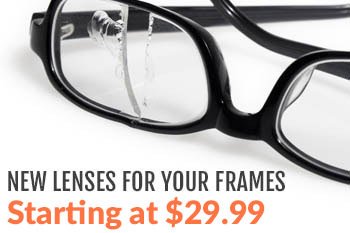 Enjoy superior comfort with these lightweight frames. The sleek yet stylish glasses have lightweight temples. This allows you to drive without the distraction of heavy weight on your head. Yet the construction of these glasses is durable. The black frame is sleek and brings a classic look to your attire. You will be glad to know that the lenses are also scratch resistant, which ensures you have the protection you need. These prescription sunglasses are a part of Wiley X’s Climate Control line. With the Wiley X brand you are ensured that you will get ultra protection and durability. Extreme testing goes into the glasses before they are put on the market. The AirRage also ensures drivers have a clear vision while driving. The glasses are 100 % UVA/UVB protected but allow 90 % light to transmit through the lens. This allows your view to be crystal clear while still protecting your eyes from the harmful rays of the sun. These highly durable glasses will meet your everyday needs while also providing superior driving clarity for your eyes. You will be impressed by the comfort of these lightweight frames. In addition, the thin temples make you feel that you’re not even wearing glasses. A thermoplastic frame makes these glasses nearly indestructible, which comes in handy for those who are accident-prone. Smoke gray lenses filter out the brightness of the sun and add interest to these sunglasses. Wear the sporty Smith Optics Precept sunglasses in style. The attractive frames have stainless steel spring hinges for added durability and longevity. Temple pads add to the comfort of these glasses. Clear lenses allow you to have ultra clarity when you wear this sleek eyewear. Although the lenses are clear you still have UV protection that blocks the sun’s harmful rays. If you prefer something with a thin, metal frame, then the Nike Avid is for you. These sunglasses offer a minimalist look that is smooth and seamless. Yet you receive full protection from the sun while you drive. Additional features include a vented nose bridge, which prevents fogging. Discover the comfort of a customized fit with these Nike sunglasses. You may choose black, brown, or silver frames, all of which are adorned with the Nike logo. Rectangular lenses come in brown or grey. Women will love these sporty yet feminine glasses. In addition, when you choose the Wiley brand, you know you are getting a durable product. Their line of adult sunglasses all meet the ANSI Z87.1 standards, which means your glasses are shatter-proof, scratch-resistant, and highly durable. Driving is made easy with the 18% light transmission that comes through the lenses. 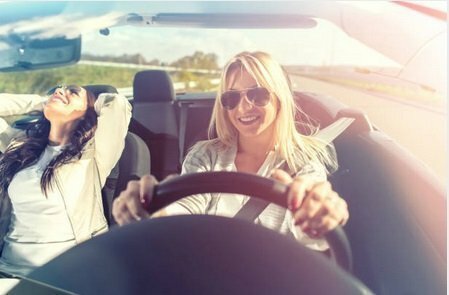 The UVA/UVB rays are, however, 100% blocked giving you peace of mind while you drive on those sunny days. For those women who like a more low profile and chilled look, you will love sporting the Bobster Low Riders. These prescription sunglasses feature wrap around frames, which make them great for driving on sunny days. The inside of the frame has a soft, foam padding that helps keep you comfortable, seals out debris, and also ensures that moisture is wicked away. The convertible style means you can convert from traditional temples to goggle straps. Go with the glamour sunglasses when you choose this trendy Kate Spade style. Large square frames add personality to your style. The black, brown, and tortoise print add interest to the frames. These sunglasses provide ultimate comfort and a single bridge. The lightly tinted lenses protect from the sun so you can drive with ease. The Zoe delivers you fashion with a bold two-toned frame. The wide wrap around frames ensure all dust stays out of your eyes. That means you can enjoy driving with the window down and won’t have to worry about dust interfering with your vision. 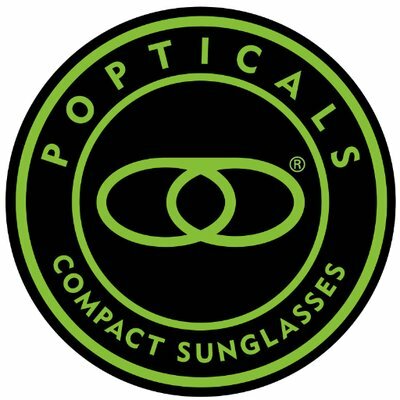 You will also love that the Bobster convertible prescription sunglasses can be quickly changed from regular temples to a goggle strap. This would work great for women who ride motorcycles. The goggle style stays firmly in place while you ride. Get in touch with your retro side when you put on these festive sunglasses. The round frames come in cheery colors such as purple and turquoise. The inner temples are decorated with vibrant, colorful stripes. But they are more than just attractive, you will have the protection from the sun and the durability of well-constructed glasses. Look great and be protected while you drive this summer. 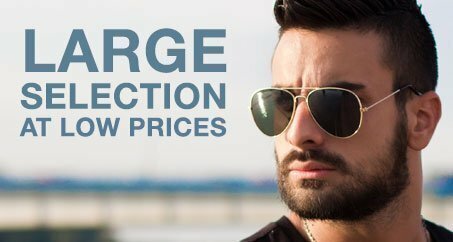 At Myeyewear2go, we have one of the largest selections of sunglasses and prescription glasses for men, women, and children. Connect with us and check out all the various styles. There is sure to be one that suits you. Thank you Amy, we appreciate the positive feedback!